WOW! What an easy and great discount you can get on shaving cream at Target. 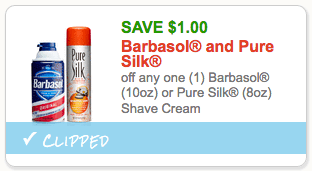 You can find Barbasol shaving cream 10oz cans for just $1.37 at Target stores. After the coupon we can pick this up for just $0.37!